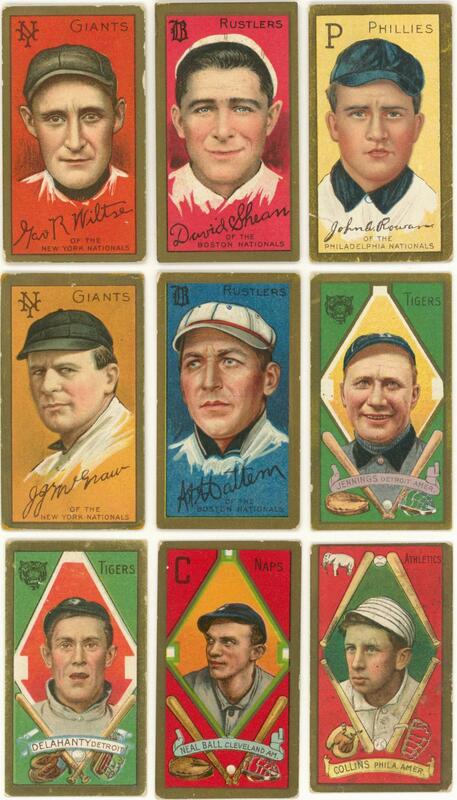 Offered is a 9-card collection of T205 Gold Border baseball cards issued in 1911. One card has been graded by SGC. 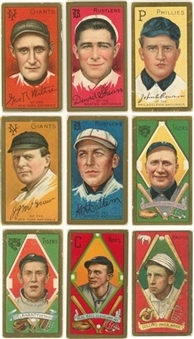 Includes: Ball (VG/EX), Collins (trimmed), Delahanty (VG), Jennings (FR, stamp), Mattern (VG/EX), McGraw (color touch/pinhole), Rowan (FR), Shean (color touch) and Wiltse (VG/EX).